The fire pit mirrored the circle created by the witches. Fire dancers enclosed the group while the beating of the drum echoed the witches’ chants as they sang praises to their god and goddess, welcoming them into the circle. A chalice was passed around, symbolizing the Triple Goddess, the female deity in the religion’s duotheistic system. Inside the chalice was a razor blade representing the Horned God, the male deity. The witches in the circle took turns drinking from the chalice while a witchcraft community teacher, Birch Tree, stood in the center, beating the drum and singing along. 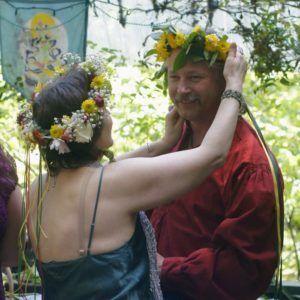 Beltane, one of the four fire festivals of Wicca, happens in the wake of spring, six months from Samhain, which occurs on October 31. Witches celebrated the two-day event April 30 and May 1. The first day emphasizes fire and fertility, and the second day consists of more rituals and feasts. About 40 Wiccans were present at the rituals held at Seabright Beach for the first day of Beltane. The second day’s rituals were held at Tree’s Sacred Grove Witch Store, located in Soquel. Santa Cruz now has a large witch community, some of which can be found on the UC Santa Cruz campus. This club and the Sacred Grove Witch Store provide outlets for the UCSC students and the rest of the Santa Cruz community to learn more about Wicca. In the Wicca religion, the Triple Goddess is symbolized by the moon, the Horned God by the sun, and the Earth is considered to be the Wicca mother. During Beltane, witches celebrate by giving back to the mother with fertility. Tree said this fertility does not just consist of reproduction, but of many different aspects as well. In the contemporary world, its definition has evolved to include the growth of plants, animals and even bank accounts. Pearl, another initiated member of the Shamanic Feri tradition of witchcraft under Wicca, emphasized her tradition’s differences from other strands of Wicca. Feri tradition stresses personal responsibility within the spiritual and personal life of its followers who must take responsibility for their rituals, spells and anything that may happen in their personal lives. Pearl said she did not want to disclose her name because she is not comfortable depicting her beliefs, even in the modern world. This is true for many members of the Wicca community. A few witches at the event were not comfortable being interviewed, nor did they allow their pictures to be taken. Tree learned the effects of the lack of understanding of his community at a very young age. During his spiritual journey at the age of nine, Tree had a revelation. The declaration of this revelation to his Catholic parents proved unsuccessful. During the 1960s and 1970s, religious persecution led many witches to move from the eastern United States to the west. Tree said that the community began moving to California. Many migrated to San Francisco and Santa Cruz. 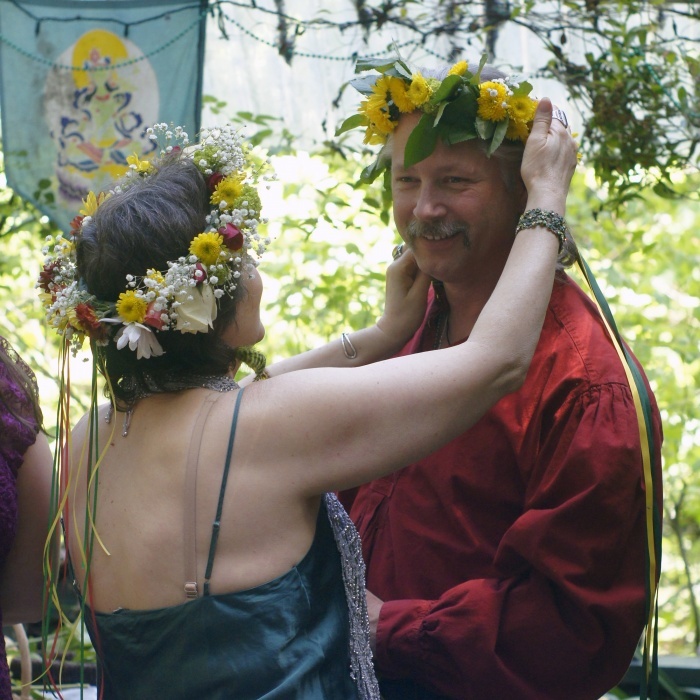 Although he preferred not to speak much on the private subject, Tree said that Santa Cruz Wiccans do not have a place of worship due to lack of funding. Because of this fact, the Wicca community of Santa Cruz mostly gathers at rituals, or at their store. The Sacred Grove Witch Store therefore serves as a haven for the community. This is where Tree provides a learning experience for witches with classes, such as Witch 101, and workshops. “Our people have organized out of the back of witch stores,” Tree said. The witches that attended the Beltane event give back to the Santa Cruz community by donating food to a local organization, Second Harvest. In the past few months they have donated three barrels of canned foods.